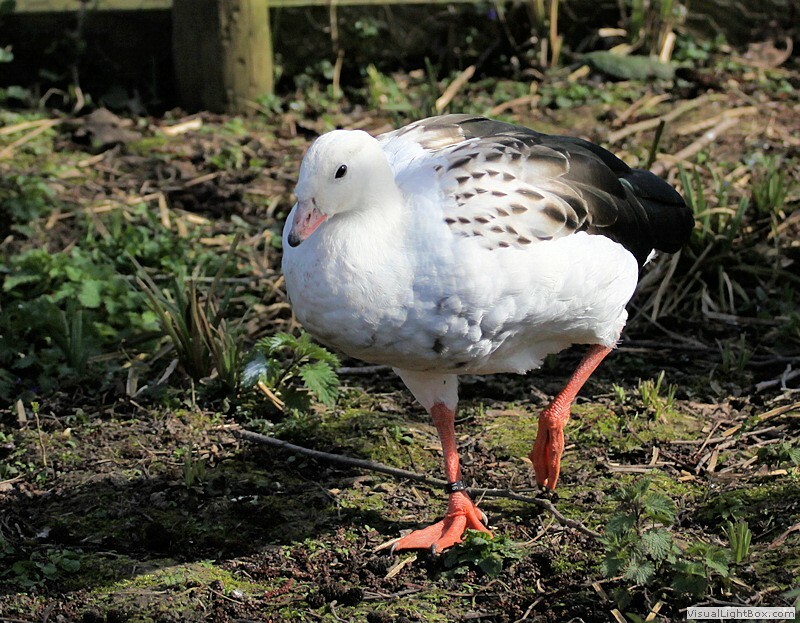 Identify Andean Goose - Wildfowl Photography. 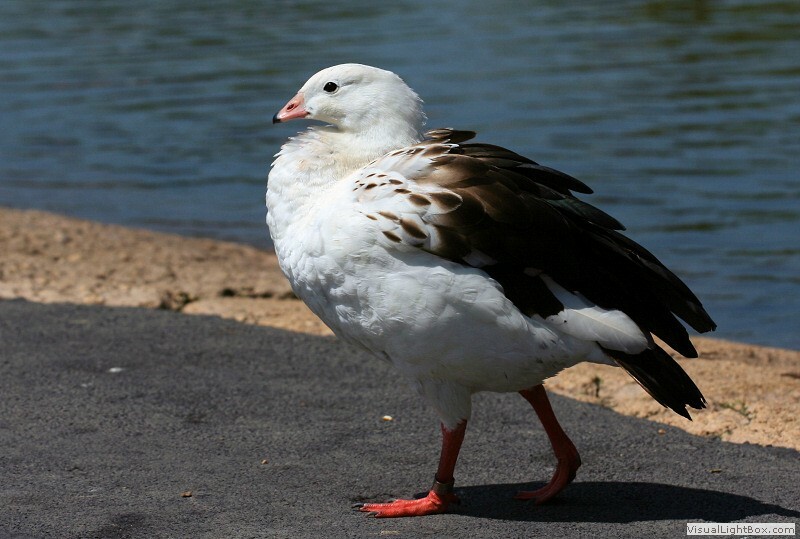 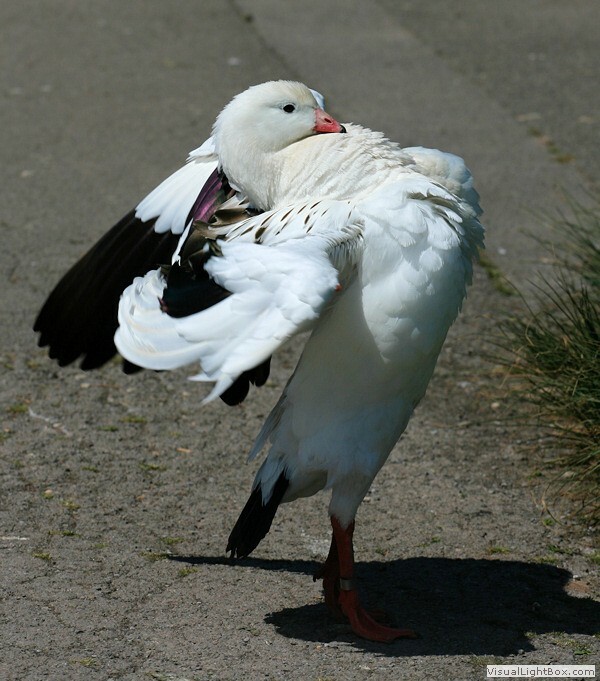 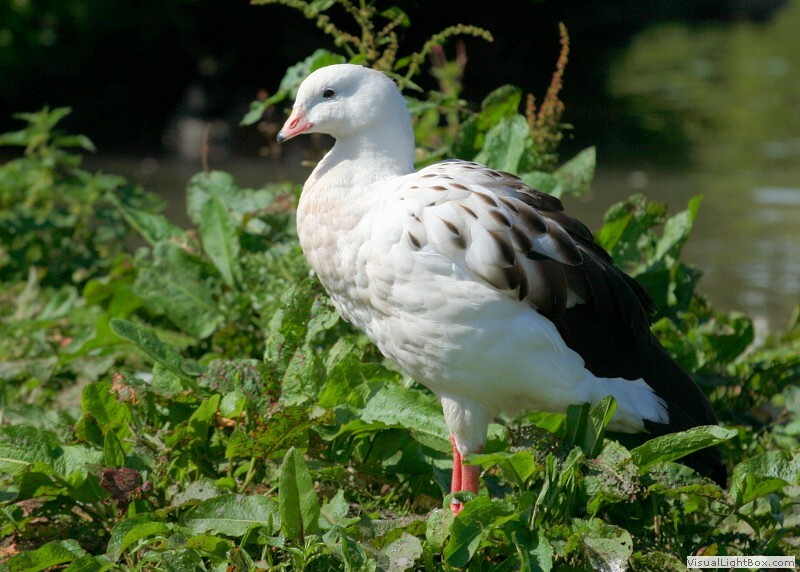 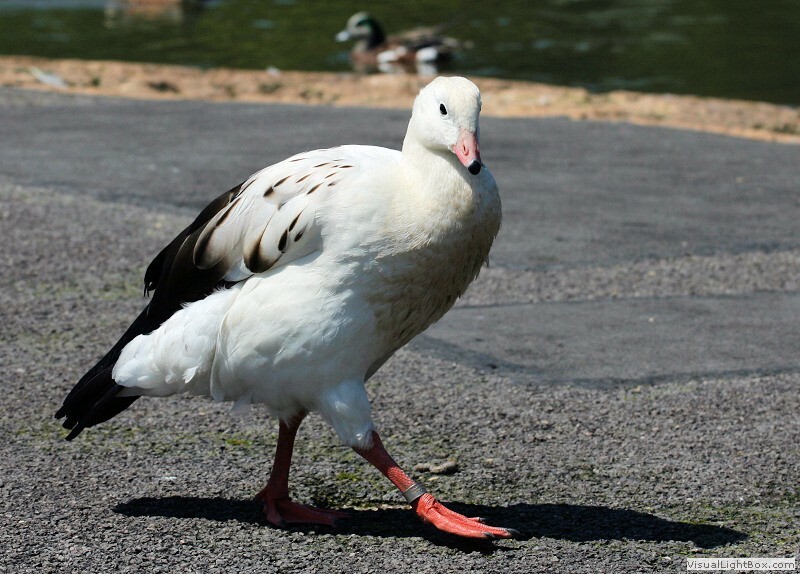 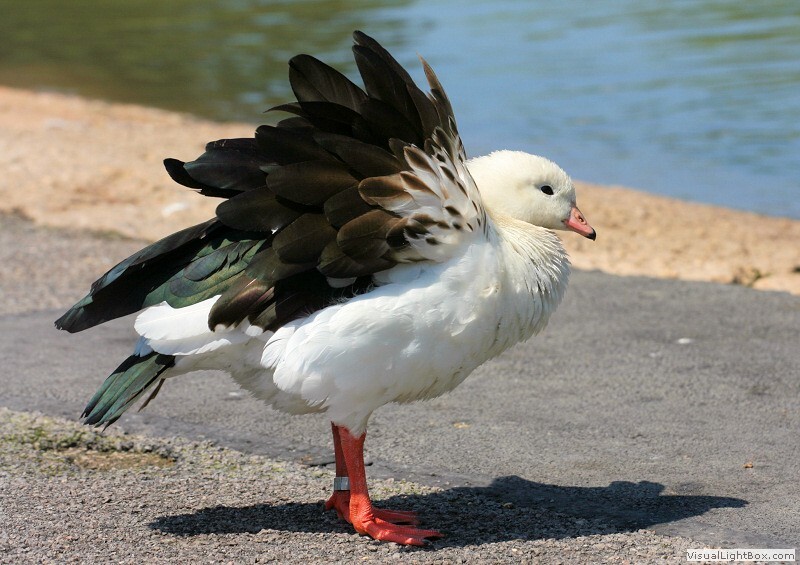 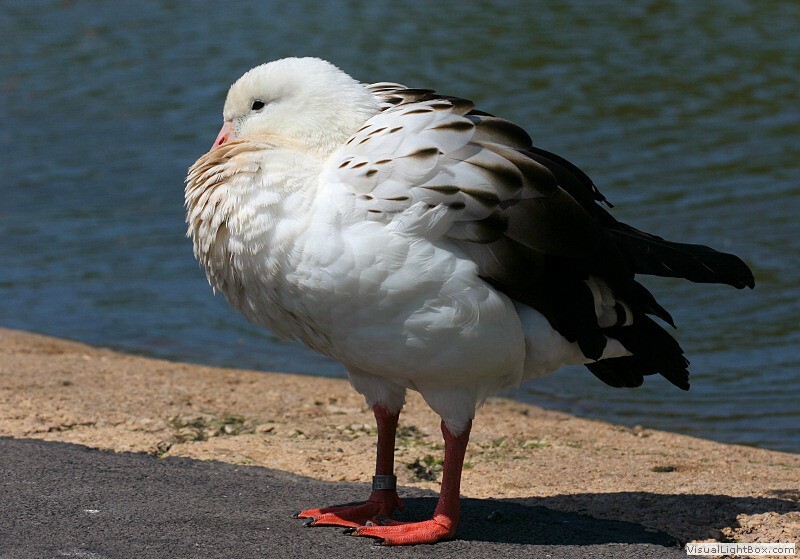 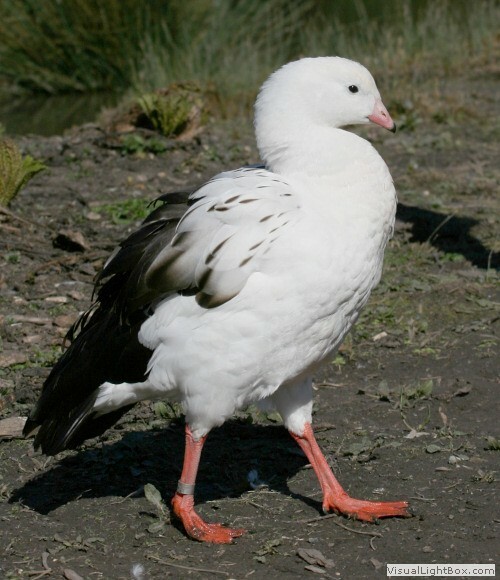 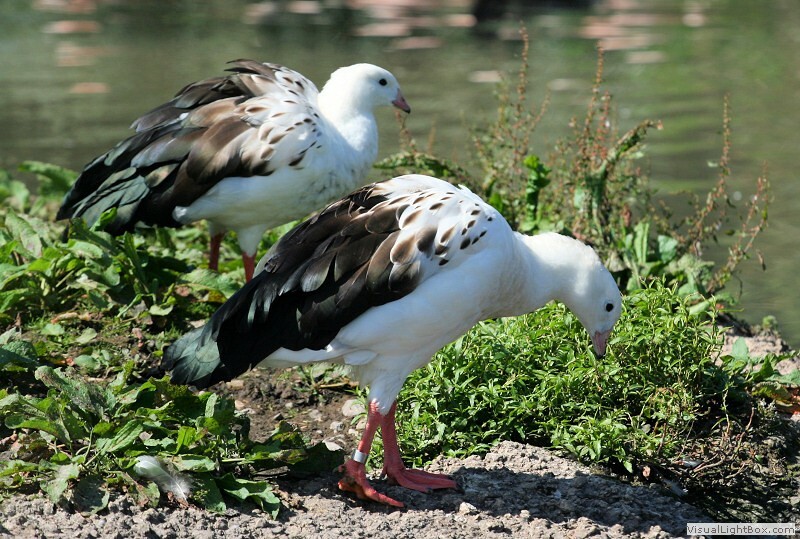 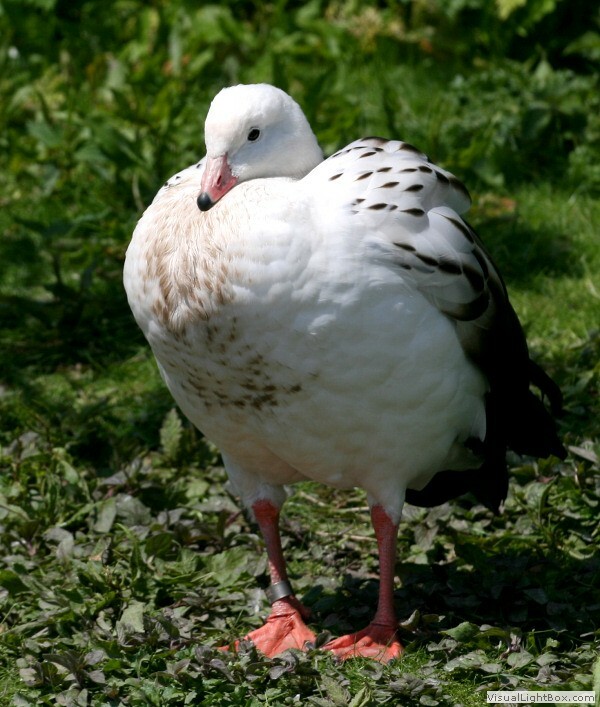 Appearance: - The Andean Goose is a bulky goose with mainly white plumage except for black in the wings and black tail, a short pink beak with black tip, dark brown eyes, and orange-red legs and webbed feet. 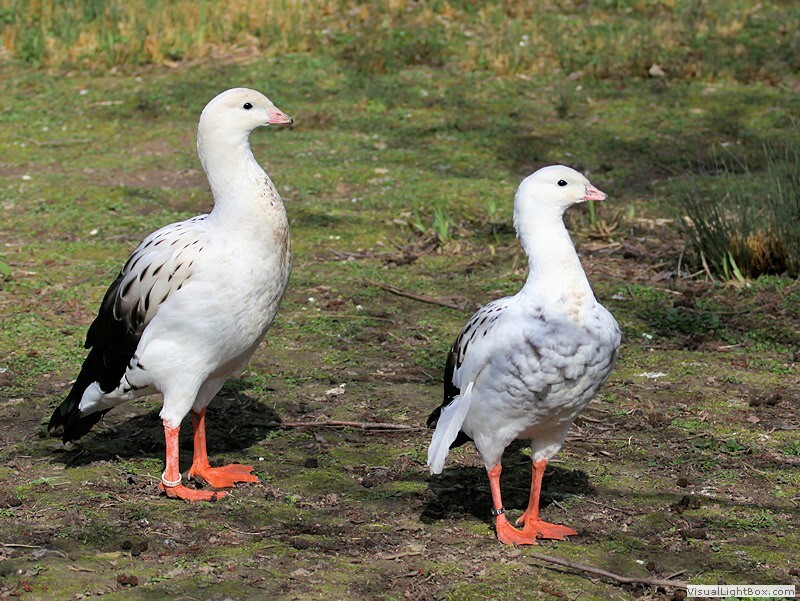 Both sexes are alike but the male is slightly larger. 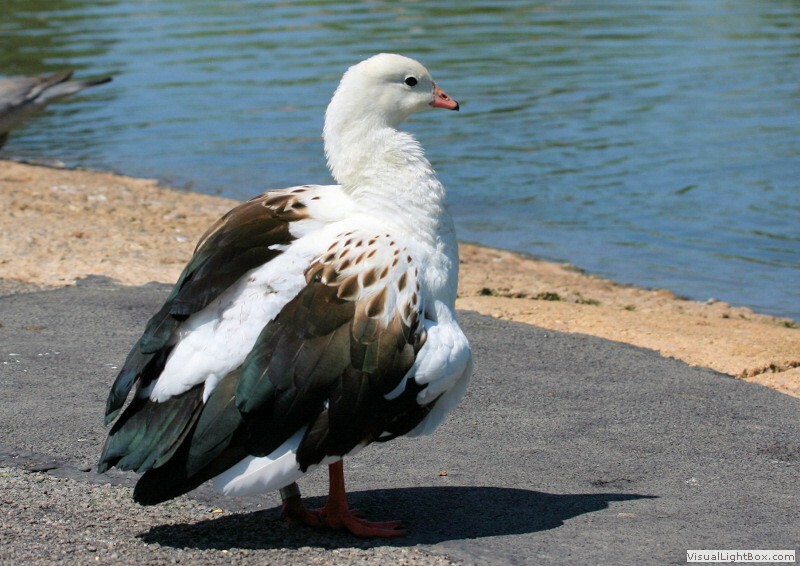 Size: - Typical Adult is 75-80cm (29-31in). 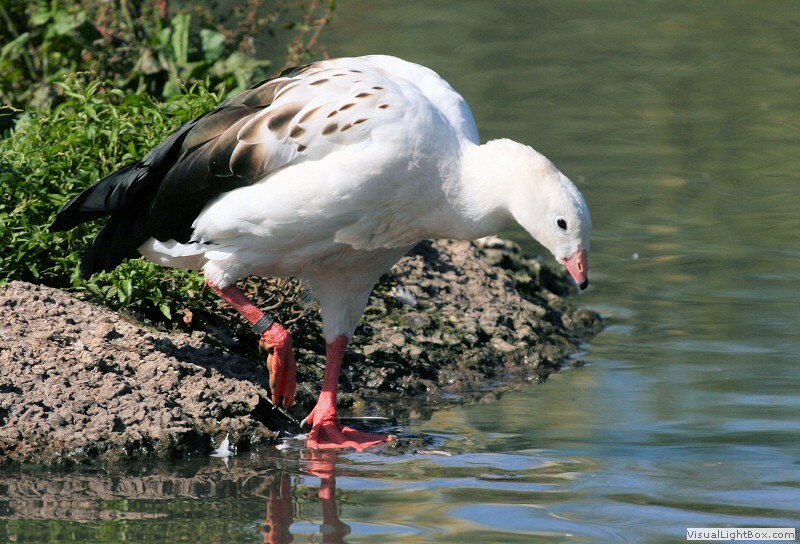 Food: - Aquatic plants, sedges, and mainly grazing on grasses. 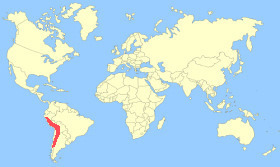 Habitat/Range: - Around wetlands, marshlands, lakes and grasslands in the high Andes (above 3000m) of Peru, Bolivia, Chile, and Argentina. 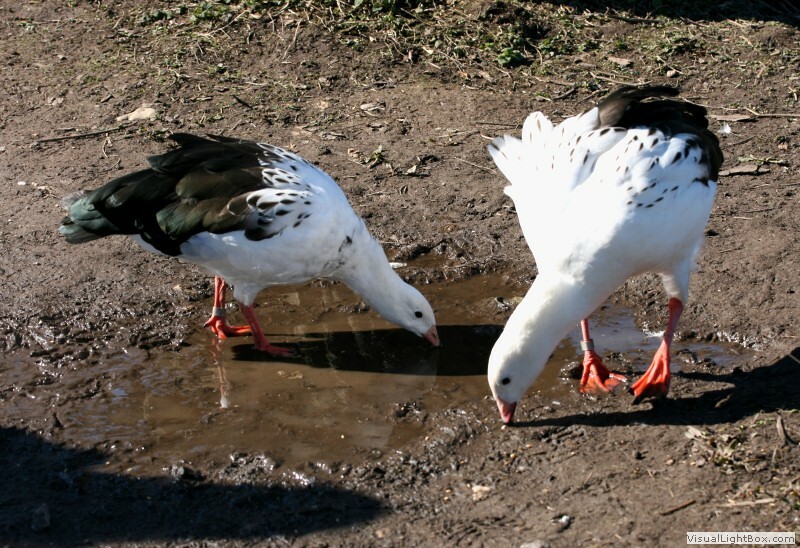 Winters in lower altitudes of the Andes. 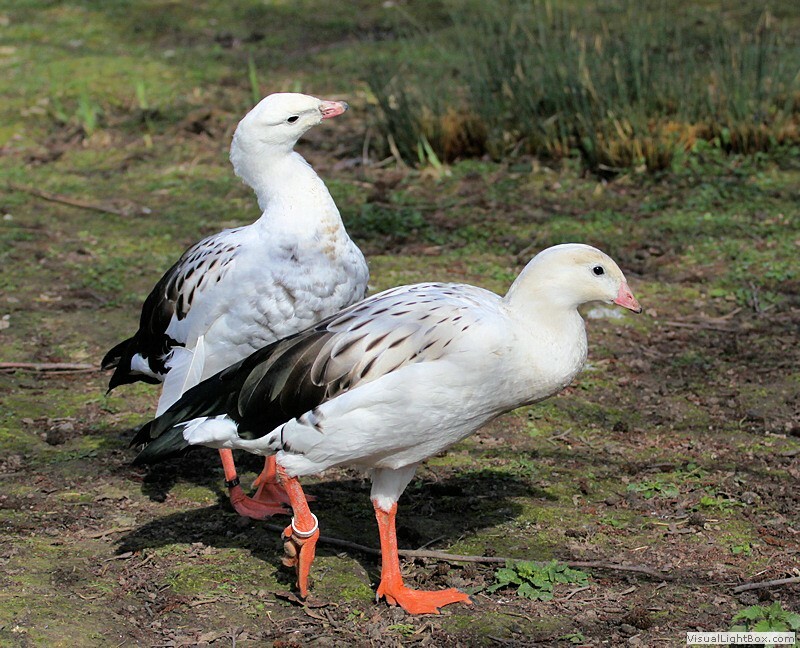 Breeding Season: - November to January. 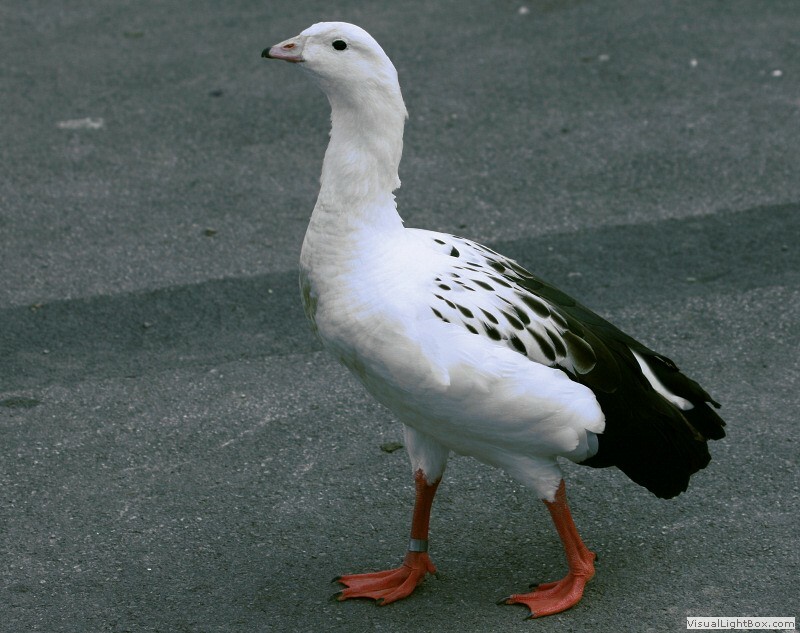 Eggs: - 6 to 10 (off-white colour). 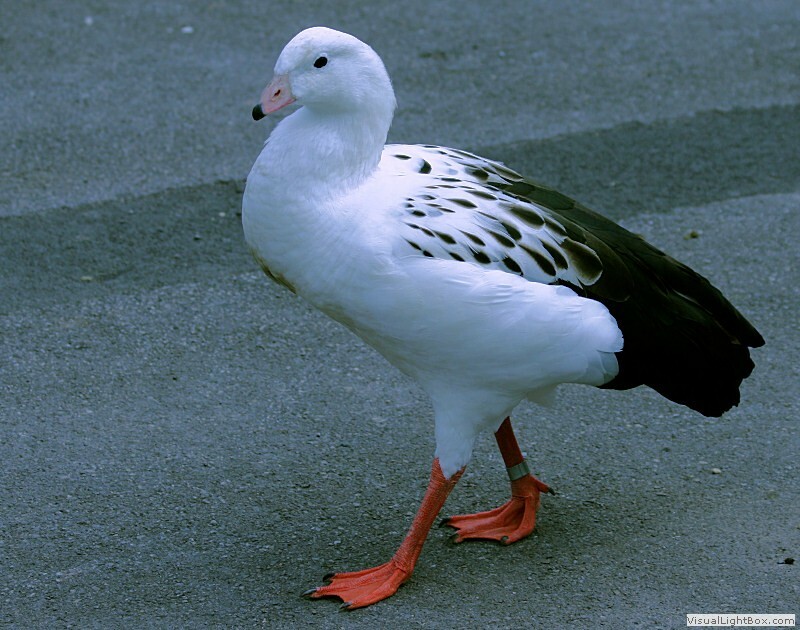 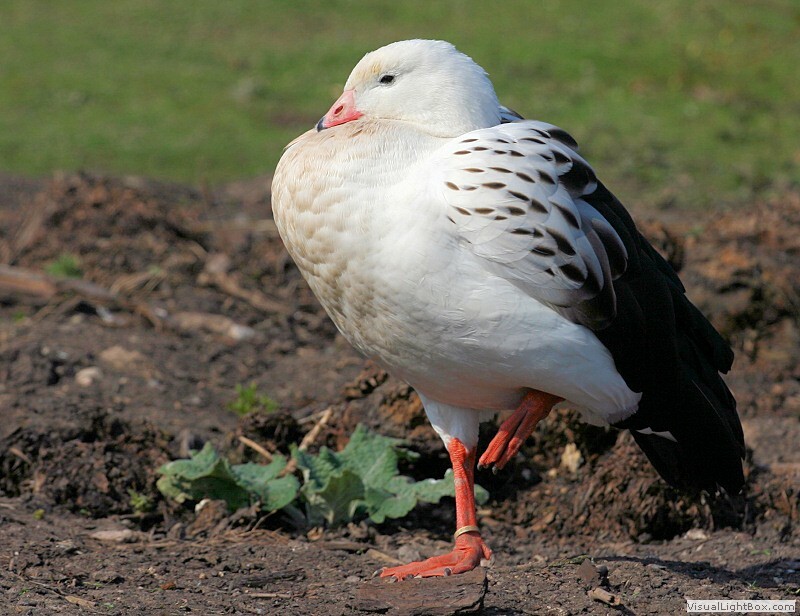 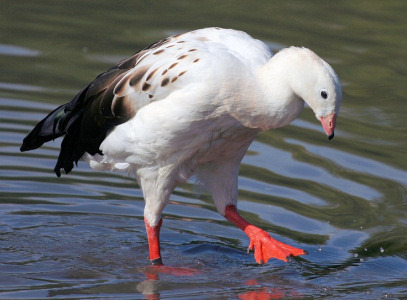 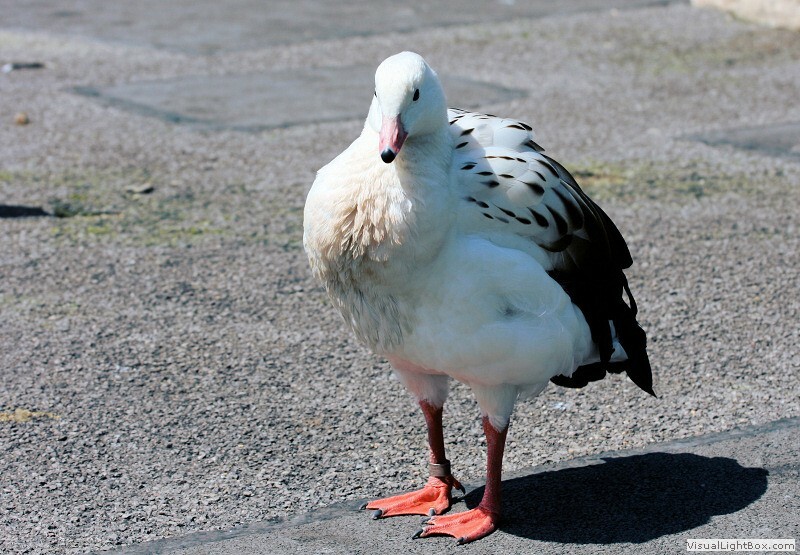 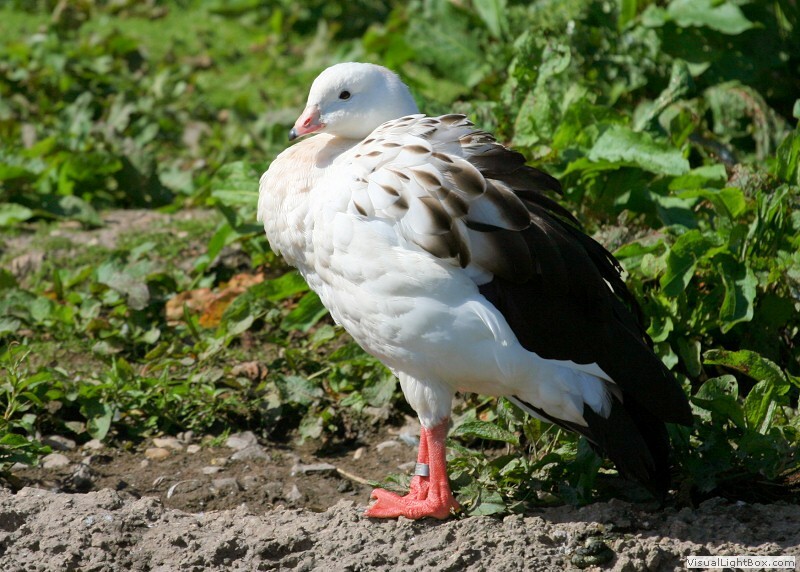 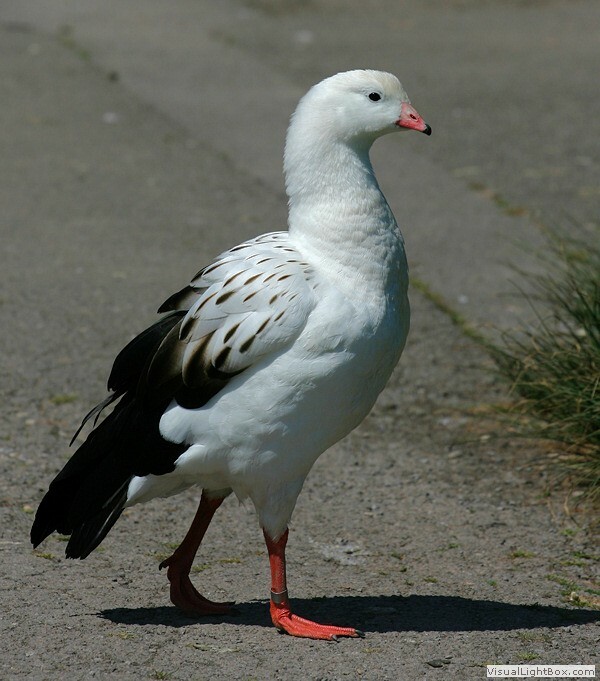 Notes: - The Andean Goose belongs to the Shelduck subfamily Tadorninae, and is usually found in groups grazing near water at very high altitudes in the Andes. 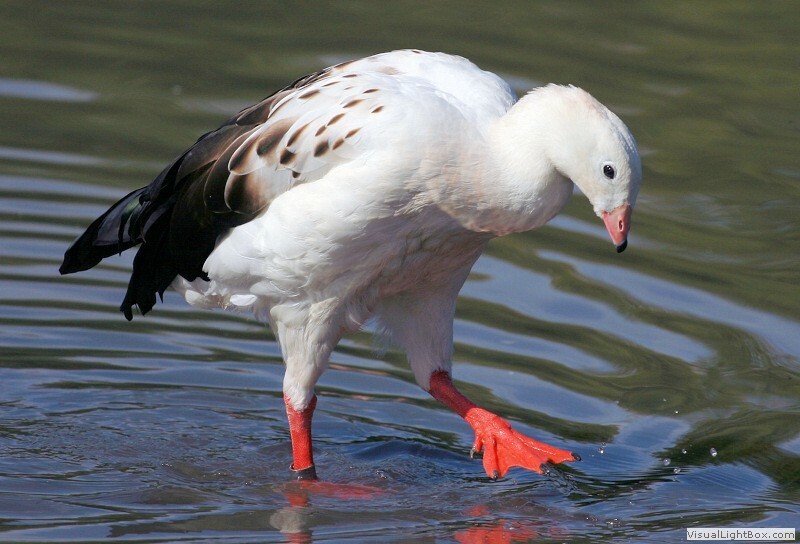 They do not swim very well and prefer to be on land, only taking to water when threatened. 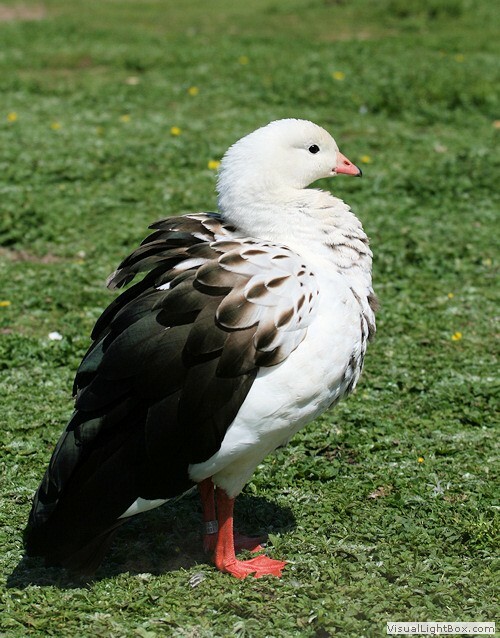 Compare with other Geese species.